This article was reported by Peter Schworm, Laura Crimaldi, and Evan Allen of the Globe staff and Globe correspondent Claire McNeill. It was written by Schworm. 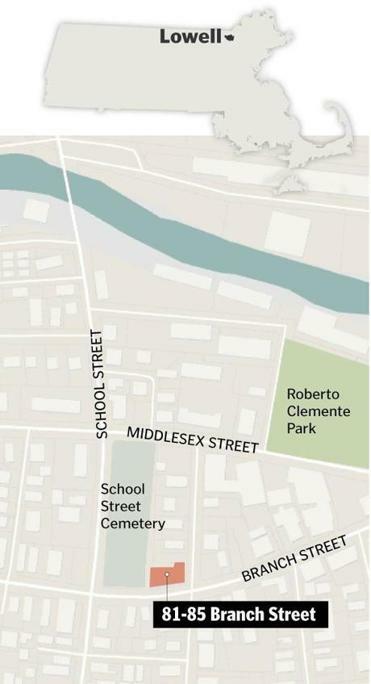 LOWELL — In the state’s deadliest fire in two decades, four adults and three children were killed when a powerful, predawn blaze engulfed a three-story apartment building, forcing desperate residents to drop their children from windows, then leap to escape the onrushing flames. The three-alarm fire, which broke out at about 4 a.m. Thursday, killed a couple and three of their children, ages 7, 9, and 12. The two other victims were a 38-year-old woman and a man in his 70s, said neighbors and relatives. The roof of the Branch Street building collapsed in the blaze, trapping residents on the top floor. The seven victims lived in two apartments on that third floor, authorities said. City records show that the building has a brick veneer with wood covered by vinyl siding. 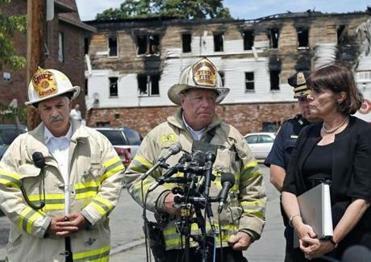 Lowell Fire Chief Edward Pitta, State Fire Marshal Stephen Coan, and Middlesex County District Attorney Marian Ryan held a news conference. Thursday’s blaze was the deadliest fire in Massachusetts since 1994, when a wind-whipped fire killed seven residents in North Attleborough on Christmas Eve. Nine people were taken to the hospital with assorted injuries, and more than 50 people were displaced. One firefighter suffered a leg injury, authorities said. Vedol Yut, 28, was outside the apartment building when it burst into flames. “I could feel the heat,’’ he said. Yut saw a first-floor resident running around the building, knocking on doors to warn others. The fire spread to the second-floor porch, and he saw someone drop a baby into the arms of a person standing on the ground. Khamsan Ou was inside his first-floor apartment when he heard alarms in the hallway. He ran through his home yelling, “Fire,” and led his four children from the building. When he got outside, he could see the images of those leaping from the apartments. The cause and origin of the fire were not immediately known. Marian T. Ryan, the Middlesex district attorney, said authorities would conduct a “long and thorough” investigation, including a forensic review of the alarm system in the building. Last July, firefighters responded to a small electrical fire at the building, which includes a liquor store. The fire caused no structural damage, Slagle said. That same month, an electrical contractor, Millennium Alarm Technologies Inc. of Leominster, obtained a permit to work on the fire alarm system. A second electrical contractor, TJ Service Solutions Inc. of Chelmsford, took out a permit to work on the building last August, city records show. Authorities said witnesses reported that an explosion preceded the blaze Thursday, and that it sounded like fireworks detonating. A police radio transmission about five minutes after the initial call also mentioned that fireworks were exploding in one of the upstairs apartments. One neighbor said he saw fireworks shooting from the back of the building shortly after the fire began. Within minutes, the entire building was consumed in flames, he said. The fire was first reported by a police officer on patrol and soon created a terrifying scene, with tenants jumping from windows and neighbors running down the street to the fire station for help. As the flames intensified, firefighters rescued at least five people from the third floor. Authorities did not release the names of the victims. But relatives identified them as Torn Sak, his long-time partner, Ellen Vuong, and three of their children, Anthony, 12, Ryan, 9, and Sayuri, 7. Another victim was identified by a relative as Tina Christakos, 38. Neighbors said the seventh victim was a man of about 70. Vann Ing, 52, said Torn Sak’s father and two of Sak’s sons were with her when they all escaped the burning building. She and her boyfriend, Kras Srey, 50, had been alerted to the fire by someone banging at their door. She spoke to the Globe through a friend who translated her comments. 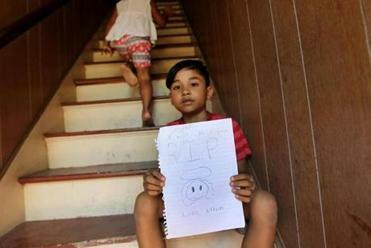 Ing said that as Sak’s father was exiting the building, he screamed to his son to get out. “Why don’t you get out? Why don’t you get out?” he shouted, Ing said through the interpreter. Sak went to a room in his apartment to find his children, she said. The room was locked, and he tried to kick the door down. But the fire was too much, she said. Chin Bun, 41, who lived with Christakos on the third floor, said they awoke to the sound of a friend kicking the door to warn them about the fire. He shouted to the couple’s roommate before running out of the building. But when he got outside, he could not find Christakos. He tried to go back in, but the fire was too intense. Christakos must have gotten trapped trying to help their roommate, he said. He described Christakos as “lovable and fun” and said she had one daughter, Felicia, in her early 20s. He said their roommate was a good man who was about 70 years old. Sanjay M. Patel, who said he had owned the building for about six years and runs the first-floor liquor store, said he was in shock over what happened. “I have no words,’’ he said. Patel said his property was in full compliance with safety codes and had passed every inspection since he bought the building in 2007. Later in the day, Patel issued a statement expressing his condolences and said he was cooperating fully with authorities. Nine people were admitted for fire-related injuries at Lowell General Hospital. All were expected to be released soon. The Red Cross opened a shelter at the Lowell Senior Center, where volunteers were helping more than 55 survivors. They had lost all their possessions and needed clothing and food, officials said. A relief fund was set up at the Jeanne D’Arc Credit Union. Some people stopped by the shelter late Thursday afternoon to see how they could help. Malinda Morneau, 31, who had heard the sirens that morning, dropped off three bags of clothes and a stack of shoe boxes. “It just felt like the right thing to do,” Morneau said. Todd Wallack, Martin Finucane, and John R. Ellement of the Globe staff and Globe correspondents Zachary T. Sampson, Trisha Thadani, and Matt Rocheleau contributed to this report. Peter Schworm can be reached at peter.schworm@globe.com.